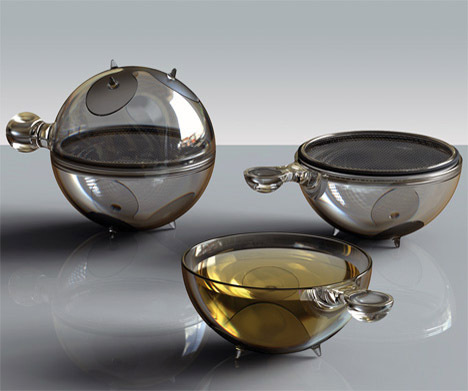 All About Tea » Blog Archive » Identify that teapot! Hopefully someone out there in Tea Land can help me with this one. I know you wrote this ages ago & have probably figured it out by now… I can’t remember the designer but I looked this teapot up last week. It was just a sample design; it was never actually for sale or anything. Too bad because it looks awesome! That is too bad. I love the look! Thanks for sharing what you found.